Labor has a three-mandate gain on Likud, but just 34.5% of respondents prefer Herzog as prime minister. The left is gaining ground, according to a Channel 2 poll released Monday night, with Labor three seats ahead of Likud. Labor is projected to gain 26 seats in the 2015 elections, according to this poll, with Likud a distant second at 23. Jewish Home is perennially in third place, though down several seats at just 15, whereas the joint Arab list has 12 seats. Of the Center parties, Yesh Atid leads with 9 seats, new party Kulanu with 8, and Yisrael Beytenu would gain seven seats. Bottoming out the poll are the hareidi parties and Meretz, with United Torah Judaism (UTJ) and Shas at seven seats each and Meretz at six. Eli Yishai's Yachad-Ha'am Itanu party misses the Knesset threshold. 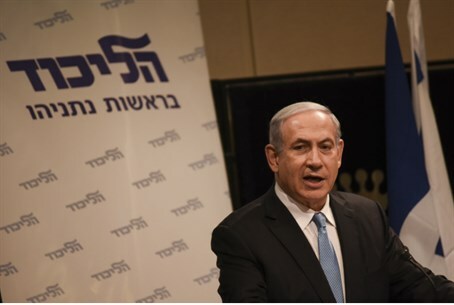 Despite Labor's victory, 44.4% of respondents still prefer Prime Minister Binyamin Netanyahu as prime minister, vs. 34.5% who prefer Herzog and 21.1% who remain undecided. When asked about the possibility of a Likud-Labor government, 48% are against the joint coalition, whereas 30% expressed support for the idea.